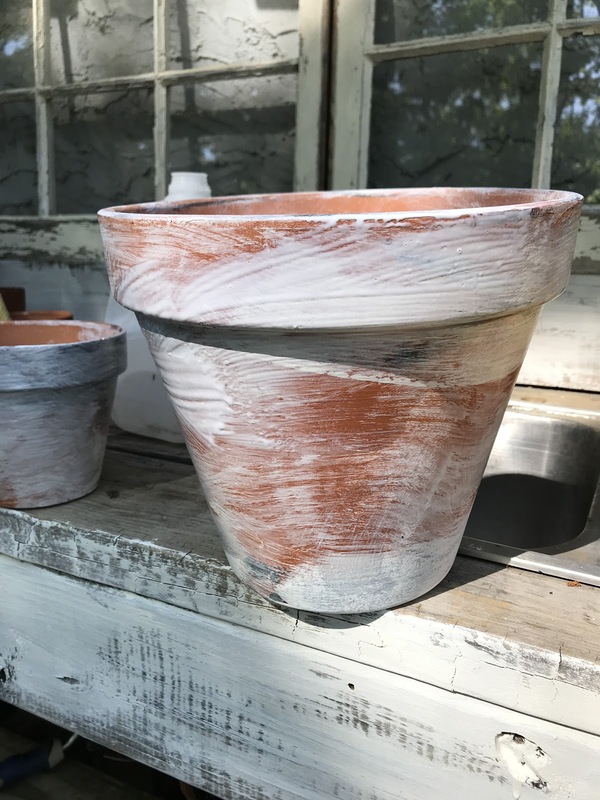 Love the look of old pots? 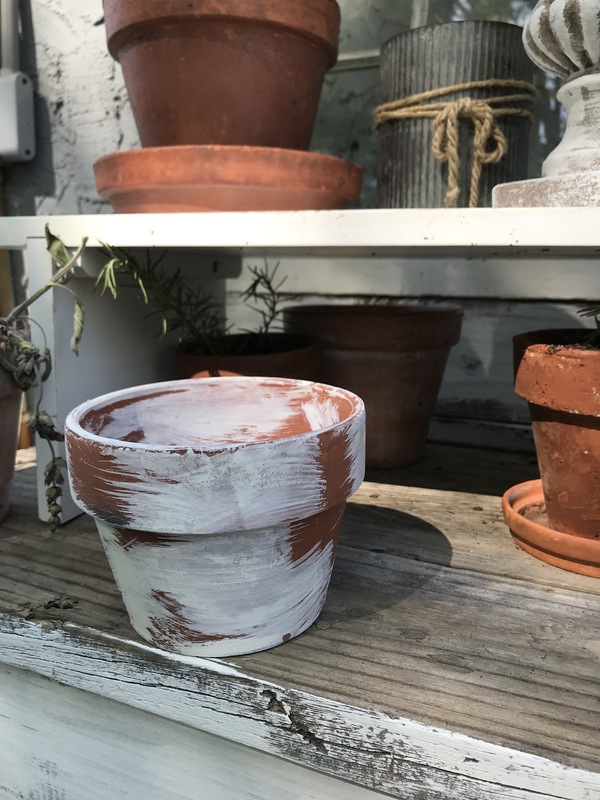 I've been setting up my first official potting bench and decided that aged pots would look great! 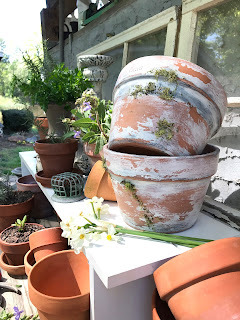 Have you checked out the prices of these lovely container's? So, I've been making my own with some trial and error. These are some of the results and step by step instructions on my favorites. Apply a small amount of black or brown paint to clay pot. I don't try to cover an area completely just a few strokes of the brush. 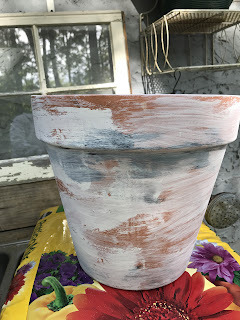 Chalk paint dries very quickly. 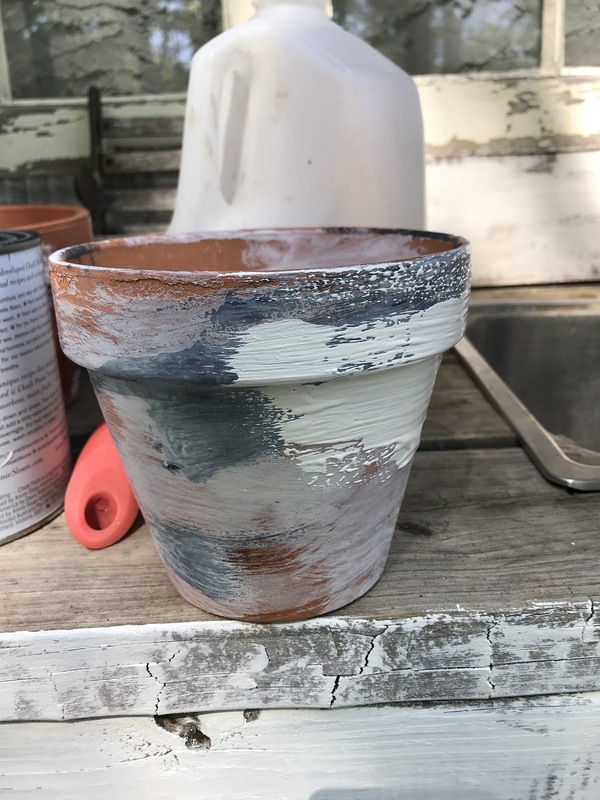 Once it's dry, then start to add a white wash to the pots. I mix the white paint with equal parts water. Once again, I'm not trying to cover the entire pot. After the white paint is dry, I then brush the pots with Mod Podge! 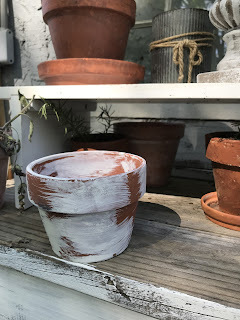 I leave the coverage thicker in some areas and don't worry about covering the entire pot. This is what the pots are looking like at this point. The mod podge take longer to dry. So this is the time to break up your moss and get your glue ready. Or have lunch. Or go for a walk. Just be sure it's dry before the next step. Now you want to add more white paint. This time the mix is 2 parts paint to 1 part water. Just a little thicker mixture than the first time. Here I've started adding the thicker white paint. 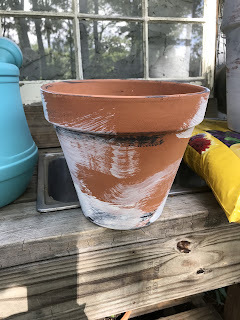 Once again, don't cover the whole pot. 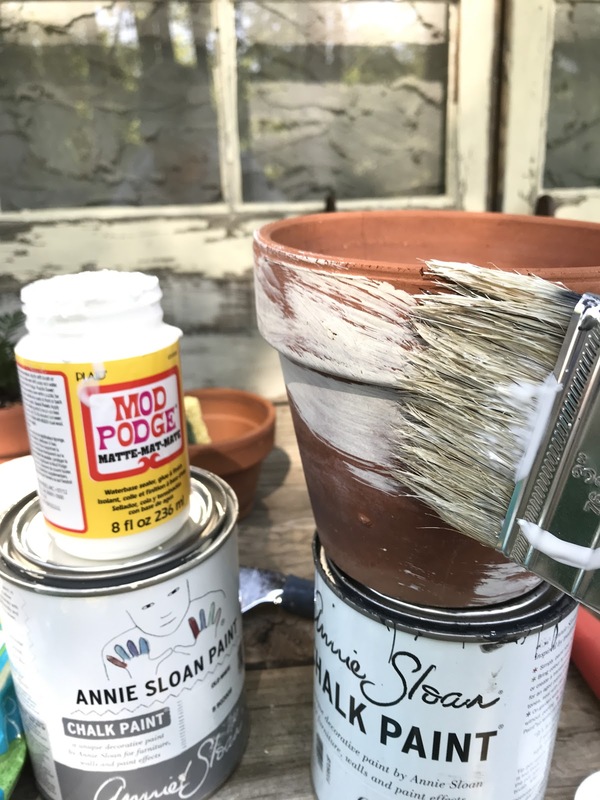 Next you will want to use your grit sandpaper to sand away some of the paint and mod podge from the pots. You want to create a look of peeling paint if possible. Now you are ready to add moss. I use a tooth pick to apply the glue to areas that I want moss. 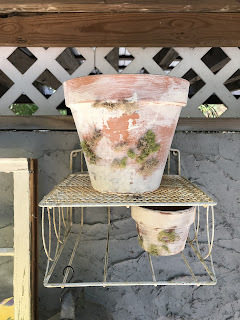 Then I apply tiny pieces of the moss to each pot in random areas. You only want tiny pieces of moss. If you want a heavier coverage, you need to let dry and then add more on top of what you've already done. 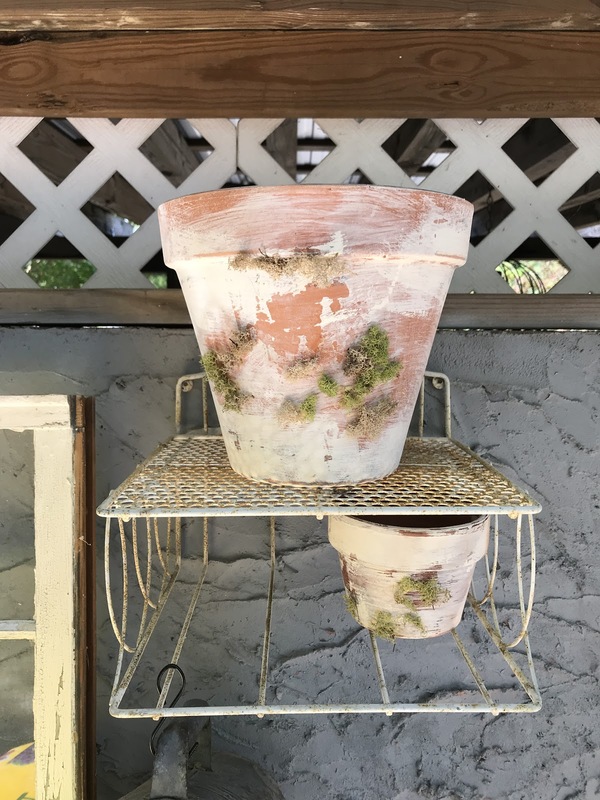 This will insure that the moss doesn't fall off. Here are two of the pots from today. 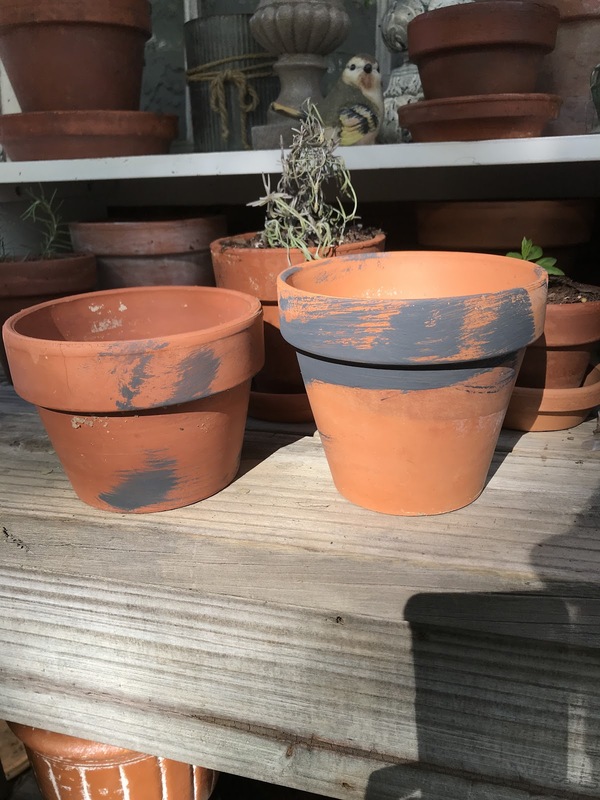 I hope you enjoy aging your pots. If you have any questions, please feel free to ask.